Commodity price fluctuations resulting in margin erosion? The Rochford team will identify, quantify and mitigate the risk thus improving forecasting and protecting the bottom line. 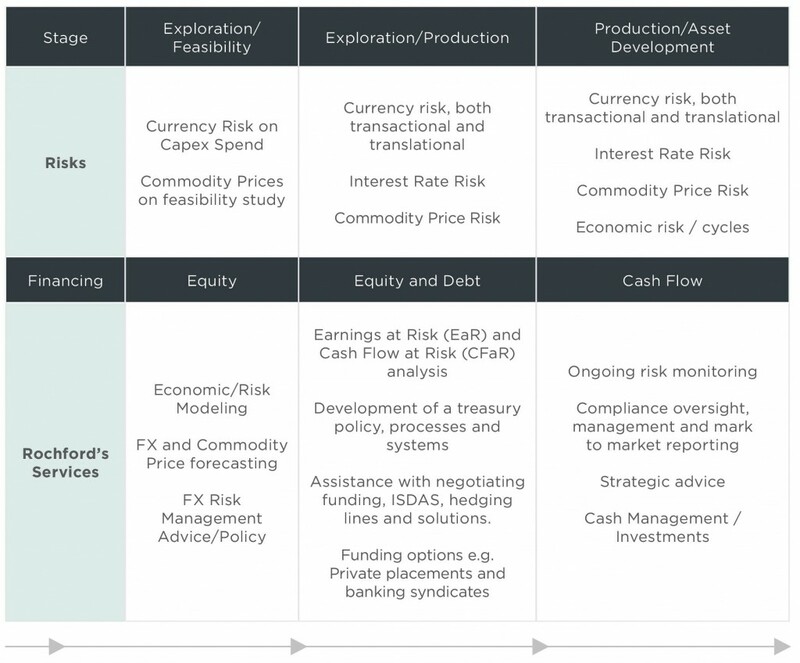 Rochford’s experience in advising the Australian commodity industry has resulted in a comprehensive understanding of the life cycle of a commodity explorer/producer and how their risk profile evolves over time. “The nature of the company’s financial risks was evolving faster than we could develop internal treasury resources to manage them, The Rochford team allowed us to focus on the core business confident in the knowledge that market risks would not compromise our strategic objectives”. Rochford’s joint venture with Basis Commodities provides our agricultural commodities clients with access to an experienced supply chain and international business development consultancy team. The team at Basis Commodities has over seventy years’ experience and knowledge gained at every point of the supply chain from producer to consumer and everything in-between. Basis Commodities assists its clients with their procurement, sales and supply chain risk management strategies. They also help them to identify and implement other opportunities for business improvement and revenue growth. The team at Basis Commodities are focused on providing pragmatic solutions that add real value to their clients day to day operations. If you would like more information please click the link above or to speak to the team please email info@basiscommodities.com or call Chris in Sydney on + 61 419 833356 or Andrew in Melbourne on +61 458 864 994.